In her recent review published in March this year ‘Working for a healthier tomorrow,’ Dame Carol Black looks at the role of the workplace in health and well-being. Dame Carol is Director of ‘Health Work Wellbeing,’ a government led initiative to improve the health and well-being of working age people. 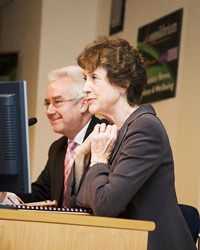 One of Dame Carol’s main recommendations is that ‘Government should work with employers and representative bodies to develop a robust model for measuring and reporting on the benefits of employer investment in health and well-being.’ Employers should use this report on health and well-being in the board room and company accounts. This article challenges the recommendations regarding how to appraise expenditure on health and wellness programmes and proposes an alternative strategy HR Directors could consider to convince a sceptical Board to invest in their most important asset: people. Within the terms of their remit, PwC produced an excellent report which found extensive evidence that companies in the UK and abroad believed that the investment they make in health and wellness programmes was justified and, in many cases, provided figures to support this belief. In addition they also produced a comprehensive and practical framework employers can use to implement and manage a health and wellness programme. Regarding the economic case to invest in wellness programmes PwC suggested the use of a variety of key investment appraisal measures including net present value (NPV), internal rate of return (IRR), pay-back period (PBP) and benefit to cost ratio (BCR). While these are all excellent return on investment analysis tools, they are much better suited to appraising tangible assets like land and buildings or plant and equipment. Consequently, they are vulnerable to criticism when applied to the appraisal of intangible investments such as a health and wellness programme. This is not a criticism of PwC. They have done exactly what they were asked to do using the tools they regard as most appropriate for the task. The point is that in attempting to measure the return on investment of intangible investments, they are opening the door to legitimate criticism and doubt. Ironically PwC demonstrate this themselves by including a section in their report appendices entitled ‘Caveats to measuring economic impact’ which draws attention to potential drawbacks in the programme evaluations they have quoted in their report. Once again this it not a criticism of PwC as because of their professional principles, accountants are obliged to ensure that they present a ‘true and fair’ view in any financial statement or report they produce. A consequence of this is that the numerate members of a board might easily cast doubt on the assumptions used by the HR director when presenting such investment appraisals to justify expenditure on a health and wellness programme. An alternative strategy for HR directors seeking to convince their Board to invest in a health and wellness programme is to focus on the human capital argument. Directors have a responsibility to protect all of the shareholders assets and human capital should be acknowledged as one of these assets. How often have we heard CEOs claiming ‘our people are our most valuable asset!’ If this is the case, human capital should receive the same level of protection and maintenance applied to any other major business asset. Corporate finance professionals now recognise that the value of a company is expressed by a mixture of tangible assets in the form of property, plant, cash etc; and intangibles in the form of corporate brands, reputation, knowledge and of course people. The CIPDs factsheet (November 2007) suggests that many forms of capital make up the real value of a business and in an increasingly knowledge-based economy, human capital is fast becoming the most important. A company may have excellent state of the art assets and an extensive customer base, but if those resources are mismanaged the company will soon lose out to competitors with better-managed but inferior resources. Human capital is however notoriously difficult to measure because the areas where it is likely to make most impact – customer satisfaction, innovation and service delivery – are at the mercy of numerous other contextual variables. This is also why it is also so difficult to financially appraise the benefits accrued from investing in health and well-being. Accountants, while accepting the existence of human capital, strongly resist putting a monetary value on it simply because, unlike other assets, it is not owned by the company; it is secured through the employment relationship. Notwithstanding this ‘technical point,’ potential buyers of a company will take human capital into account when deciding how much it is worth. And they will not only be interested in the human capital value ‘per se’ they will also want to know how robust it is by examining the policies, procedures and programmes the company has in place to recruit, retain and nurture its people. The principle here is that a company’s ability to attract, retain and nurture quality people raises the overall value of shareholders funds. The HR Director can legitimately argue that health and wellness programmes are a key aspect of recruiting, retaining and nurturing human capital. As health awareness becomes a higher priority for society in general, employees are placing greater emphasis on the health benefits included in their remuneration package. Aspects such as work-life balance the workplace environment and the levels of work-related stress they are likely to experience are becoming important factors when deciding where to work. It is now not so much, is a health and wellness programme provided, but more, how good is the health and wellness programme provided? In December 2007 the Sainsbury Centre for Mental Health produced a Policy Paper on the business case for taking mental health seriously. The paper estimated UK plc losses of £26bn a year through sickness absence, staff turnover and reduced productivity for mental health problems. This is equivalent to £1,035 for every employee in the UK Workforce or a total cost of £1m for a company with 1,000 employees. What is most interesting about the Sainsbury Centre report is that £15bn, almost 60% of the total losses are caused by reduced productivity. Presenteeism is the term used to describe the loss in productivity that occurs when employees come to work but function at less than full capacity because of ill health. The HR Director can argue that a key element of any health and wellness programme is to create an atmosphere where presenteeism is minimised and people can be honest about their health with their boss. As the Sainsbury Centre figures demonstrate it is much more efficient for employees to take essential periods of sick leave, to ensure they are operating at 100% when they are at work. UK employers have regarded the personal health of employees to be their own responsibility and that of the NHS but evidence shows that they can no longer be so complacent. Organisations are in essence the people in them and the level of performance and success of any business is directly related to the quality of the people it employs. This is the most compelling business argument. Eventually company directors will come to understand that the healthier their people are the greater will be the return on all that has been invested in them. Health and wellness expenditure will be viewed in the same light as marketing expenditure. The return on marketing expenditure is also notoriously hard to prove, however investment in marketing is accepted as essential. Accountants still attempt to calculate the return on marketing investments but the principle of the need to incur it is never questioned. As the PwC report demonstrates the argument to invest in health and wellness programmes has already been won in a great many companies. However, the feedback from Dame Carol Black’s ‘Call for evidence’ in November 2007 has revealed that many companies still need to be convinced of the economic justification of investing in the health of their people. Perhaps it is time for HR directors to use the ‘human capital argument’ when putting forward the economic case for introducing wellness programmes?